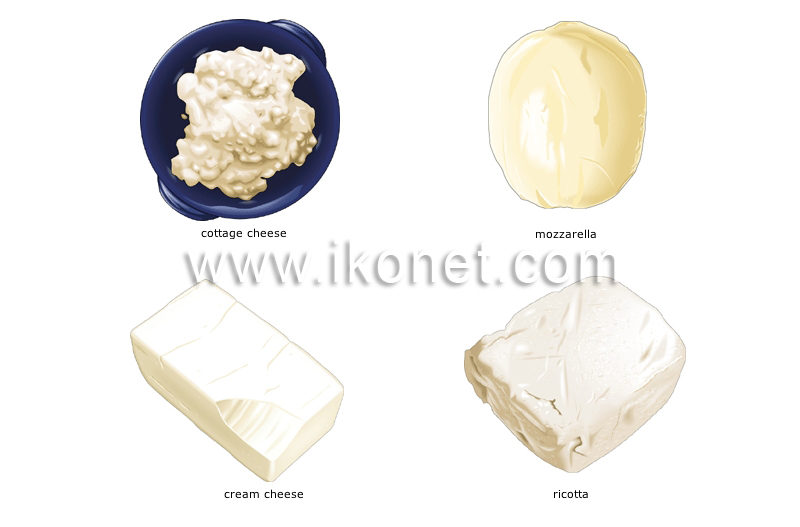 Nonripened cheeses that contain up to 80% water; they are smooth and mild or slightly tangy; they spoil quickly. This native Italian cheese has a rubbery texture and is firmer than other cheeses; it is the garnish of choice for pizza. Made with cream, which is sometimes mixed with milk; it is smooth and spreads easily, and is used as a spread or as a dessert ingredient (e.g., in cheesecake). Low in fat and grainy in texture; it works well as a spread or can be added to salads, desserts and sauces. Granular cheese with a smooth moist rind; it is used in Italian cooking, primarily for stuffed foods and desserts.